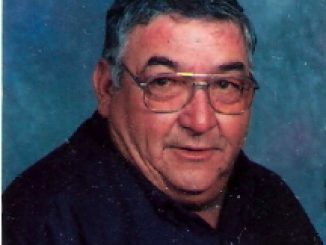 Jo Eddie Sommerville, 71, passed away Friday, Feb. 13, 2009. Jo was the youngest of three daughters born to Edward and Idabelle Nitzschke on Feb. 24, 1937, in Limestone County, Texas. Jo grew up in Marlin, Texas, and was graduated from Marlin High School in 1955. She continued her education, graduating from Four C Business College a year later. Jo married Tom Sommerville in Waco, Texas, on June 1, 1958. She was a devoted mother and military wife. Jo and Tom have been residents of Graham, Texas, for 11 years and are members of the Salem Crestview Methodist Church. all of Odessa, Texas; Trent Sommerville of Billings, Mont. ; Shelby and Hillary Hayes of Rangely, Colo., and Skyler Hayhurst of Clyde, Texas; one great grandson Tavon Sommerville of Odessa, Texas; four step-grandchildren Rachel and husband Daniel Wauson of Abilene, Texas; S.Sgt. Juda Davis of Albuquerque, N.M.; Jon Michael Davis of Arizona; Seth Davis of Abilene, Texas, and many beloved nieces and nephews. Josie loved gardening and traveling. Memorial services will be held at Salem Crestview Methodist Church in Graham, Texas, on March 14, 2009, at 11 a.m. In lieu of flowers the family requests donations be made in her name to the American Cancer Society, P.O. Box 22718, Oklahoma City, OK 73123 or Solaris Hospice of Graham, 507 Fourth St., Graham, Texas 76450.